A former Australian terror suspect says he was caught up in the controversial US policy of transferring detainees to foreign countries for interrogation. Mamdouh Habib claims he was tortured while held for a period in his native Egypt during his four years in custody. He told the BBC he was brain-washed, beaten and given electric shocks. The US State Department has not commented on his specific allegations, but says it does not transfer prisoners for the purposes of torture. 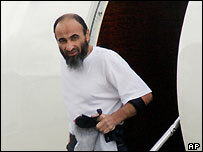 Mr Habib told the BBC's World Service that, after his "kidnap" in Pakistan in 2001, he was moved between Egypt, Pakistan, Afghanistan and Guantanamo Bay until his release at the beginning of 2005. He says he does not know who was holding him, but "I saw Americans.. Australians.. Pakistanis.. and Egyptians." He spoke of being tortured while in detention in Egypt. "It is a place for torture. I was beaten, electric shock... no sleep, injections, brainwashed - unbelievable stuff," he said. He was made to feel like a baby, and forced into making a number of confessions, he said. "I just repeated what they wanted me to say," he told the BBC. He admitted to investigators helping to train the 9/11 hijackers in martial arts - a statement he has since withdrawn. 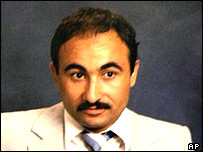 US officials have claimed Mr Habib had close ties with al-Qaeda and prior knowledge of the attacks on New York and Washington. The 49-year-old former cafe owner was released without charge in January. He has denied any involvement in terrorist activity. The Australian government has since investigated his allegations of torture but found no evidence to substantiate them.